Enjoy the grandeur of true mountain living all from the comfort of this luxurious estate. Clad in handsome stone with red cedar trim and copper roofing, the details of the exterior complement and blend harmoniously with its environment, letting nature set the stage for this majestic home. Other features include large living areas, screened-in porches, and amazing stone terraces to delight in the wonderful views of the Alleghenies. 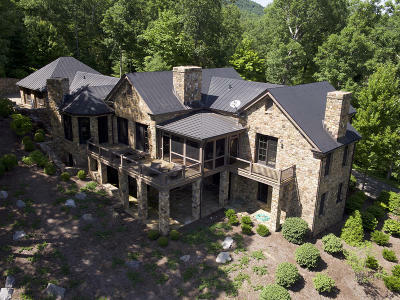 Ideally located in the Ridges on Greenbrier Mountain - a neighborhood in which each ridge is named after a U.S. President who has visited The Greenbrier - this home is perfect for families seeking privacy, yet is in close proximity to The Sporting Club and resort amenities.